SPAIN’S Lorteria del Niño draw has gotten underway. This year’s ‘Children’s Draw’ will distribute €630 million, of which 70% will go to children’s charities. 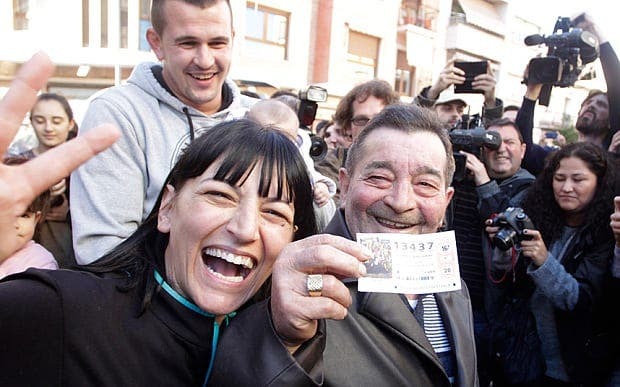 The Lotería del Nino is an annual Spanish lottery operated by the Loteria Nacional and offers prizes totalling €630 million and 40 jackpot prizes worth €2 million for a full ticket. Winning odds are 1:100,000 for El Nino’s jackpot, and players have a 1:3 chance of taking home a prize, with more than 37,000 winning combinations on every ticket. Lotería del Nino follows the Lotería de Navidad in a January 6th draw that is one of Spain’s most popular raffles and a noted national event to start the New Year. The draw is being held at the Círculo de Bellas Artes in Madrid.